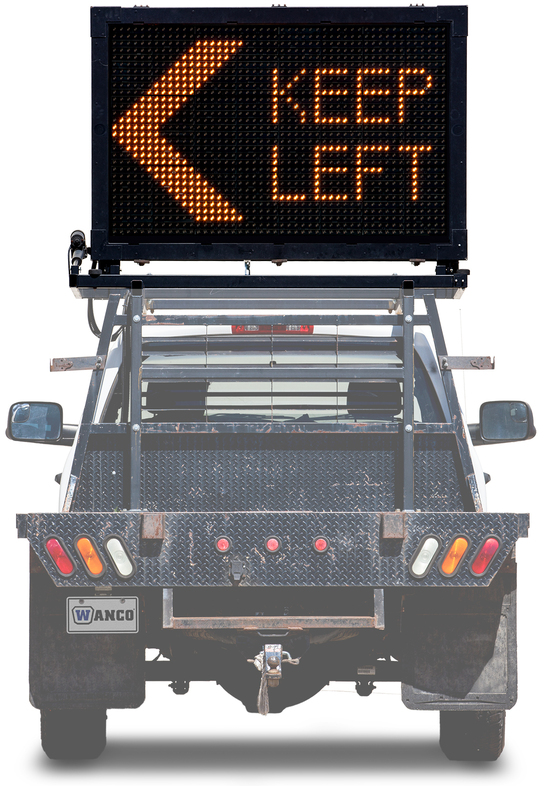 Truck Mount Message Signs - Wanco Inc.
Truck-Mount Message Signs offer the advantages of our full-matrix signs packed into a smaller unit. Two models allow for mounting over the cab of a work truck with an integral electrically operated tilt-frame. Signs include preprogrammed messages, graphics, and extra-bold arrow patterns. Wanco’s new touchscreen controller is included.